Fresh, vibrant and lively- a delightful expression of this wine style. Bright berries with a touch of sweetness followed by a crisp lively finish with lingering flavours of red berries and cream. Lightly chilled. The perfect wine served chilled for those warm summer evenings around the BBQ. 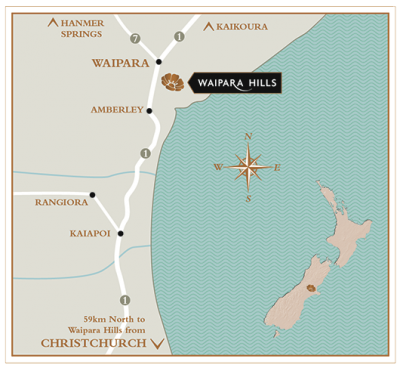 Our premium range Waipara Hills showcases the very best varietals of the South Island regions of New Zealand. Sourced from the Home Block vineyard in the Waipara Valley.